When an opportunity presents itself to learn from those who are successful, seize it. The Castello Brothers took some time to answer my questions about some of their domains, their business, and to provide their perspective on the future of the industry. The Castello Brothers own and develop some of the most recognized Geo and Generic domain brand names in the world. In 1997, they were the first to significantly monetize a geodomain with PalmSprings.com by generating 100% of its static advertising revenue from local businesses. Today, the Castello Brothers’ portfolio includes over a thousand high profile brands including Nashville.com, Manicure.com, Daycare.com, Bullion.com, Acapulco.com, Whisky.com, Cost.com, PalmSprings.com, Sample.com, Rate.com, LagunaBeach.com, Banana.com, Suntan.com, LongBeach.com, WestPalmBeach.com, Kennel.com, Driven.com, GolfClub.com, Grape.com, Chili.com and Traveler.com. The Castello Brothers are members of ICANN’s Business Constituency. Awards include the Domainers Choice Awards for Rising Star and Domain Ambassador (DOMAINfest), the GeoDomain Hall of Fame (GeoDomain Expo) and the Domainer Hall of Fame (T.R.A.F.F.I.C.). I will refer to Michael Castello using the initials MAC and David Castello using the initials DJC. Mike: I’ve heard that Michael acquired many of these names as hand registrations back when others thought they were worthless. 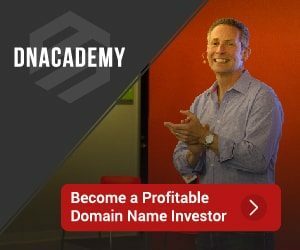 Today, do you think that it is possible for someone new to domaining or a part-time domainer to acquire a great one or two word domain, or is that totally out of reach? MAC – The current economic climate presents a huge opportunity in acquiring great brand names and category “key word” specific domains. The last two periods of opportunity were in 1997 and after the dot com bubble in 2000. Convert whatever assets you can into these virtual properties. I believe they are the best bet for the future. One can also buy a good descriptive domain name and build a passion of content into it. Hopefully you choose one that relates to what you know and love and over time elevate it with great content to become an asset that others see value in. DJC – Anyone can acquire a great one or two word domain with the right offer. However, the days of hand registering a generic one or two dotCom domain are now the same historic lore as that of the 1849 Gold Rush. Mike: You deal with many premium key word domains. What percentage of traffic would you attribute to direct, type-in traffic? Does it vary by domain? MAC – Yes, they do vary by name and search traffic has varied of the years. Back in 1997 before Google, Yahoo was king and PalmSprings.com had around sixty major URLs that were ranked number one in Yahoo. They actually banned PalmSprings.com at one point for some reason and we barely saw a difference in our traffic. These days since search has become a greater avenue of traffic I can say when analytic sites like Compete.com or Quantcast.com show Daycare.com getting 19,000 visitors a month. We actually show over 100,000 unique visitors a month. They reference google.com, yahoo.com, ask.com and Bing.com, clearly direct navigation is not getting the credit it deserves. I would give all search around 30-40% of our traffic. I don’t know why the analytic sites are depended on so much, but I am guessing that national advertisers have no other way of knowing what are eyeballs looking at and what traffic is qualified. Our advertisers and customers DO know and that is why most have been with us for ten years or more. DJC – With an undeveloped name it is all type-in traffic. Our developed names receive anywhere from 20%-75% type-in traffic. Of course, as a developed site achieves search engine rankings the percentage of type-in traffic will drop, but it will still be significant. Whisky.com has great SEO and is still 30% direct. Mike: Could you share the traffic stats for one of your domains? How much of that is marketing and how much is due to having a great name? Search, including the others, is a higher number but I want to express the power of two brands here; the dominant player on the internet (Google) and the dominant player for “Daycare” (Daycare.com) as seen by internet traffic. Our traffic is qualified and is the type of traffic we spend time nurturing and the type of traffic our advertisers what to meet. DJC – Nashville.com does about 4,000 visitors a day with 25% being direct. However, type-in traffic is just one facet of having a great Generic or Geo name. I believe that the public’s ability to instantly remember the name of the site plays a huge part in its success. And as I’ve said many times before, if someone has to always search to find your site you’re not branded. Mike: What is your top traffic site? Why do you think that site gets the highest volume of visitors? MAC – Our top trafficked site would be our longest running site; PalmSprings.com. We fluctuate between 6,000 to around 4,000 visitors a day depending on the season. The reason why I mention “site time online” is that as the internet exponentially grows, so does your website in it. It counters content saturation of other sites over time. Believe me it will get much more saturated as time passes. Such is our reasoning that you take this opportunity to snag a great domain name. You want to be that mountain top above the clouds. Below those clouds is going to be hell. DJC – PalmSprings.com is our #1 traffic site with an average of 5,000 visitors a day. And I must stress that this is highly convertible traffic. Many media sites with large readership do more traffic, but not much of it is convertible to revenue. PalmSprings.com does great traffic because it is a very popular and memorable Geo brand. Mike: If you were going to personally mentor someone starting out in the business today, what are three things you would advise them to do? 2) Purchase a name that means something to you. Something you love. Something that will not be work and something you have access to. DJC – 1) Stick with dotCom unless you’re based in country with a highly (and locally) utilized ccTLD like dotDE or dotFR. 2) Learn basic development unless your strategy is to park and/or flip names. 3) No matter what anyone says (including me), go with your gut. Mike: What is your vision of the internet and domaining industry in the next 5 – 10 years? What will it look like in 10 years from now? MAC – Well, I lose in either way I express this. In ten years the world will probably look nothing like is does now. These are historical times. The upside is that everyone will be trying to survive using the most basic and effective means available to them. The internet will be much more like a virtual world with communities and niches that benefit those of like-mindedness. There will also be consolidation amongst those that moved early in the game foreseeing those social impulses that will emerge from people’s needs and empowerment. Domaining and the development therein is what will help empower many people and businesses alike. DJC – There are many visions, but two that come to mind are that advertising dollars will increasingly migrate away from traditional media to the Internet and the general public will increasingly realize that a great domain name is important to their personal and/or business identity. Facebook is already “educating” the public to see their name/identity in a URL. Many of these people will “graduate” to wanting their own domain names. Mike: In your opinion, what are the benefits of a key word domain name over a brandable name? MAC – That’s a very good question. It all comes down to your master plan. How do you see yourself in the future? If you want a niche of local, dear and near, then I would go “Key Word” domain name. If, on the other hand you “want the world and you want it now”, I would go with the global brand name but be prepared to fight for it. Mike: Please provide any additional thought you may have. MAC – Read as much as you can and form clear cognitive skills and understanding. There is a lot of information out there and while some is good, there is also a lot of disinformation. Believe in and form your own instincts and intuitiveness. Believe in the fantastic! DJC – Live long and prosper! You can visit Castello Cities Internet Network at CCIN.com. Thanks to Michael and David for sharing their stats and views with us. You deal with many premium key word domains. What percentage of traffic would you attribute to direct, type-in traffic? Does it vary by domain? MAC – Yes, they do very by name and search traffic has varied of the years. Back in 1997 before Google, Yahoo was king and PalmSprings.com had around sixty major URLs that were ranked number one in Yahoo. They actually banned PalmSprings.com at one point for some reason and we barely saw a difference in our traffic. These days since search has become a greater avenue of traffic I can say when analytic sites like Compete.com or Quantcast.com show Daycare.com getting 19,000 visitors a month. We actually show over 100,000 unique visitors a month. They reference google.com, yahoo.com, ask.com and Bing.com, clearly direct navigation is not getting the credit it deserves. I would give all search around 30-40% of our traffic. I don’t know why the analytic sites are depended on so much, but I am guessing that national advertisers have no other way of knowing what are eyeballs looking at and what traffic is qualified. Our advertisers and customers DO know and that is why most have been with us for ten years or more. Newbies and struggling domainers would be wise to read and re read this timely and valuable information provided by two class individuals who I have had the pleasure to meet and respect greatly. P.S. Our own leading training search engine traffic closely monitors the numbers provided by Mike and David. I would have to wonder if that is no conincidence and that if 4 – 6k daily uniques is a number that cosmically represents societal interest in niche x y or z. Furthermore I would bet as Internet acceptance grows that while the daily uniques also grow that they will do so site to site in line with again what seems to be a trackable societal norm of interest in subject x y or z. Although I would have to disagree with David’s reply about there being no opportunities to register one or two word generic domains anymore (There are new words and terms in the field of technology, pharmaceuticals and science almost on a daily basis) it’s great to see these guy’s speak out about their craft. They are legends and I value any information about what shaped them as successful Domainers, I would like to see more interviews like this. Great questions with excellent answers. You are correct. There are still opportunities to hand register new words and terms – especially in the field of technology, pharmaceuticals and science. However, when Michael and I use the word “generic” we are referring to words or phrases that have already long achieved popular usage. As I thought about this, it occurred to me that there might even be a third category of words and phrases such as “cloud” that have long achieved popular usage, but are being combined with new words and used in a completely different context than their traditional meaning. Something worth pondering. Either way thank you for for making the clarification, I enjoyed the interview immensely.